The LTP solution for cultural heritage in Slovakia. In 2011 The University Library in Bratislava (ULB) was charged with setting up a powerful infrastructure for the long-time preservation of digitized cultural heritage across „the national memory“ institutions. The Central Data Archive (CDA) is realised in the framework of the Operational Programme Informatisation of the Society (OPIS), prevailingly financed by the EC regional development fund (33 184 470,48 €). 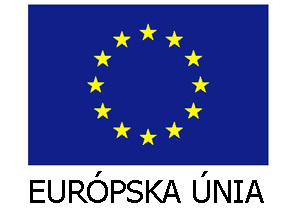 Upon the priority axis "Development and renewal of the national infrastructure of repository institutions“ is realised a set of specific projects: Digital Museum, Digital Gallery, Digital Library and Archive, Digital Audio Vision and Digital Monuments and CDA as one of the common infrastructure projects, which should serve as LTP for the entire mass production of accompanying digitisation campaigns. The goal of the CDA project, officially launched in Mai 2012, is to build up an international standard based LTP archive, consisting of two active ICT configurations and one passive magnetic tape storage in geographically separated localities. The LTP system design follows strictly the OAIS prerequisites and is developed towards the final certification according ISO 27001 and ISO 16363. HW architecture relies on the powerful midrange servers, appropriate disc array for mainstream information package processing and high available tape library with 25 Pbyte capacity on 4 TB cartridges. The iterative implementation of the LTP application (made by the local SW house upon a regular communication) is build over the basic enterprise and selected open source tools and follows a comprehensive set of system and non-system requirements issuing from the OAIS and LTP platform. The elementary operations offer services for five application modules: submission and ingestion, dissemination, synchronisation, long-term preservation and archive management. The application is supported by a logistic module for magnetic media manipulation and transport. The data can be delivered in form of SIP packages whether on-line or off-line on LTO LTFS tapes. The content synchronisation between two full functioning active configurations uses a bi-directional push (optional a OAI PMH based pull) procedure. The two LTP sites are federated using a tiny designated community interface and dataflow management layer. The CDA is an integral part of The University Library in Bratislava and enlarges its scope of a traditional deposit library by the long-time deposit of digital objects from the entire national cultural heritage domain.